Study of English | I am not good at englsh. They are exactly “STAR FORCE”. They are striving at the risk of one’s life to save Japan and the world from the threat of radioactivity just like YAMATO (Argo) crew of “Space Battleship YAMATO (Star Blazers)”. President Obama’s bow might have been too polite. However, it is not a large problem. 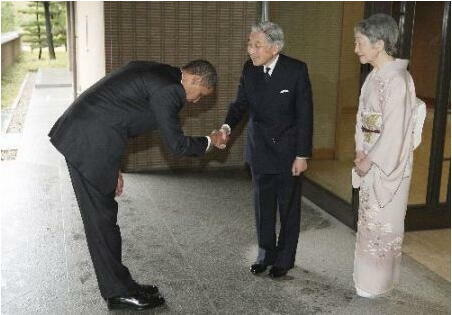 Most of we Japanese received a very good impression for President Obama’s courteous bow to His Majesty the Ten’noh Emperor. Save whales, kill the sea. Step 1: Only whales are protected. Step 2: The nember of wahles increase. Step 3: Whales feed on a large amount of fish etc. Step 4: The fish etc. decrese shrply. Step 5: There are no foods, and whales die one after another. Step 6: The sea dies. We advance to step 4 now. This is not fault of we Japanese. They are the terrorists and liars. This is a video that shows the fact. “Whales memorial plate” of Japan. This is a “Whales memorial plate” of Oumi-jima island, Nagato-shi, Yamaguchi prefecture, Japan. Of course, it is the one to hold a service of caught whales’ spirit of the deads. 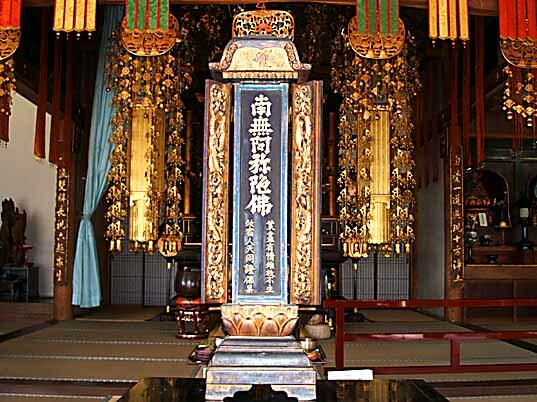 This was made in 1692, and enshrined in a Buddhist temple. Height is 77.5 centimeters (30.5 inches), and width is 22.4 centimeters (8.8 inches). There are some such a thing all over Japan. However, the Japanese did not specially treat only the whale. The graves and the memorial cenotaphs, etc. of various living things such as dog, cat, pig, cow, horse, rat, fish, bird, insect, frog, and plants exist in Japan. The Japanese has treated all living things equally. The Japanese doesn’t understand the idea to assume only the whale to be a special, sacred living thing. The party who insists so doesn’t hold a service of the whales. Did they build “Whale churchs” in the United States, Australia, and New Zealand? Their behavior doesn’t have reasonable grounds, and it is contradicted. It is “White supremacy” that support their confused conviction. They innocently believe that their Caucasian’s culture is only legitimate, and other cultures are mistakes. The core of “Whale fishing problem” is it. “Whale shrines”, “Whale temples”, “Whale memorial cenotaphs”, and “Whale graves” in Japan. 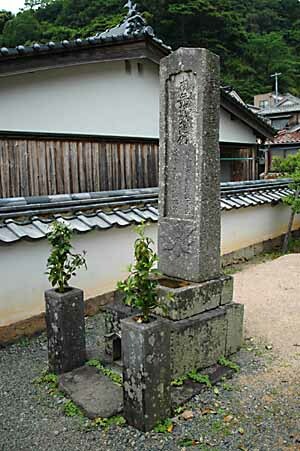 There are innumerably “Whale shrines”, “Whale temples”, “Whale memorial cenotaphs”, and “Whale graves” in Japan. It is not only whale. The graves and the memorial cenotaphs of various living things such as dog, cat, pig, cow, horse, rat, fish, bird, insect, frog, and the plants exist in Japan. The Japanese doesn’t understand the idea to assume the whale to be a special, sacred living thing. By the way, did the party who insisted so build “Whale churches”? One example of whale graves.